Whitney Hawkings is the Founder and CEO of FLOWERBX and is the powerhouse behind all of those enviable and spectacular dinner table floral arrangements that have peppered everyone's Instagram feeds. We met for breakfast at Daylesford in Notting Hill and it was one of those meetings which fill you with energy and enthusiasm for the day ahead and contribute to the feminist zeitgeist of today. Before founding FLOWERBX, Whitney worked with Tom Ford for 19 years, during which time she gained first-hand experience of the genesis and growth of a global luxury brand. Becoming an international brand is what she aspires to create within the backward floral industry and it is a vision backed by fashion heavy hitters. 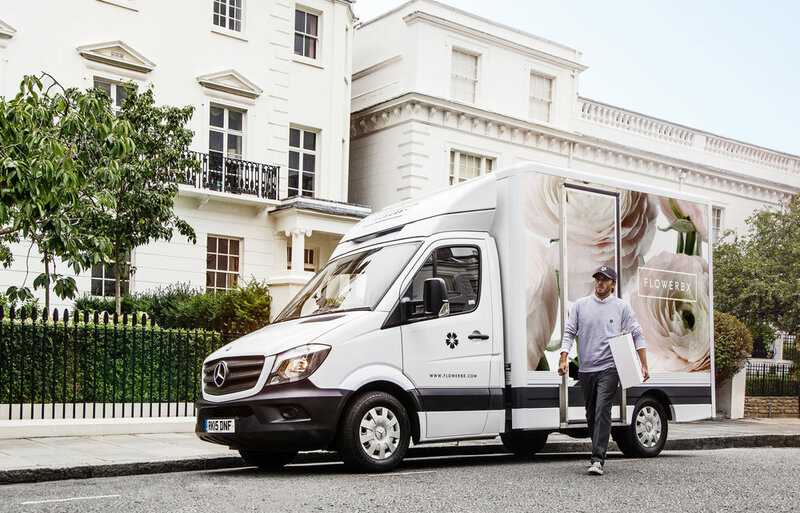 Former chief executive of luxury etailer Net-A-Porter, Mark Sebba, is an investor and recently appointed Chairman of FLOWERBX, with Net-a-Porter’s Natalie Massenet and Carmen Busquets also early investors. Clients include Bottega Veneta, Christian Dior and of course Tom Ford. We talk about what she learnt from her previous tenure and boss, how different her lifestyle is now compared to the velvet sofas and head to toe Tom Ford and the achievements and milestones she is most proud of. Recent inspiration Ruth & Tom Chapman who have maintained an incredible family and marriage, while working together, and creating such a successful business. What do you believe that most around you disbelieve? The power of the flower. What do you wish to change in the world of startups? I wish there was a manual – an easy dummy’s guide, covering everything from whom you go into business with, how you raise money etc! Favourite flower I can’t say as it changes with the seasons! For example when peonies are in bloom they are amazing, but then dahlias come back into season and I can’t get enough of them until hydrangea reappear, and so on. I started working for Tom Ford at Gucci in Paris as his PA and became indispensable. Eventually when he left to set up Tom Ford, I left with him and headed up communications. In the early days, we sat alone in an office together, so I watched him and helped him build a brand from the ground up. There was literally nothing – no logo, no advertising, no label design. However, he had resources and so many people wanted to come to work for him. In the beginning of FLOWERBX, I didn’t have a name, I didn’t have resources, and it was difficult to convince people that we were more than just another florist. What were the highlights from working with Tom and the company for 19 years? I couldn’t have learnt from a bigger perfectionist. Someone who was so passionate and gave everything. His level of perfection was unparalleled. I had exposure to the most incredible people and incredible lifestyle - not just meeting them but working with them too. It was such a mad ride – as soon as the job got in any way mundane, then Tom changed it up by launching women’s wear or making a movie. And I was involved in every aspect – which involved a whole other learning curve and set of people. It was a whole career full of highlights! Can you name your favourite aspect of your previous job? Probably my first show at Gucci when I thought I was the luckiest girl ever to get to work for this incredible man. I really thought I should be paying him to come to work. The other aspect was leaving and opening the door to my own venture – which was and still is an incredible feeling. What’s the best piece of business advice that has helped shaped you as an entrepreneur? Being tenacious and passionate. I am pounding the pavements all day and every day. You can’t do that if you don’t believe in what you do. Can you encapsulate what FLOWERBX does and your motivation for starting the company? FLOWERBX is an online flower delivery service. We get flowers directly from Holland and cut out the middleman. They arrive in our warehouse at 4am and we send them out that day. 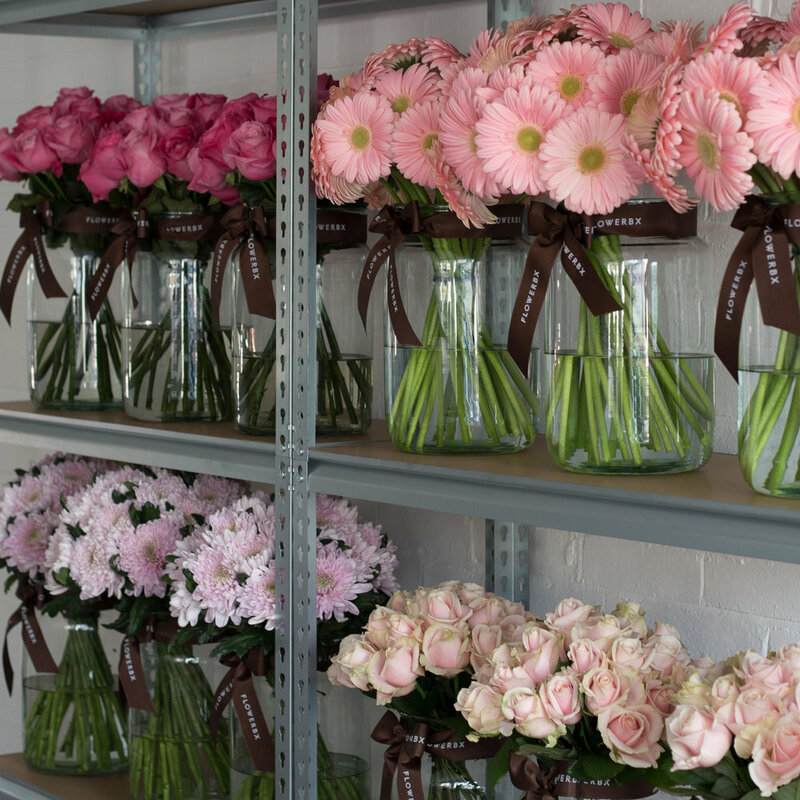 This compares with traditional florists, where the flowers will be 5-7 days old by the time they reach the customer. You cannot have fresher flowers and having cut out middlemen who represent 2 price hikes we are offering a genuine value proposition. The idea was conceived because as a working mum, I was buying everything online from groceries to clothing, yet flowers were the one thing that I couldn’t purchase in an acceptable way online. Also working for a brand, I realised that everything that we use has been branded apart from flowers. It is so old fashioned the way the whole flower industry works. Any florist online still follows the old traditional methodologies and approach. They have not changed the model – so you are still paying for the waste, the bricks and mortar etc. Somewhere like Interflora, which is not a brand as such, often has an unpleasant surprise element, as there is no control on the supplying florist. I am trying to remove that and guarantee consistency by creating the first international flower brand. It’s never been done. Do you think your time in fashion helped your market research having tried out many online sites and therefore accelerated your progress? In the fashion world, people are constantly sending and receiving flowers – daily or weekly. They were always bouquets of a single type of flower. There was no other choice. Most people don’t want lots of filler in their flowers. So, what I learnt is that the flower industry hasn’t been modernized in any way. People are also often nervous about arranging flowers. We take that away – you just need to put ours in a vase. How does life as a CEO & founder compare to your old lifestyle at a global company? My old life used to be so glamorous!! I had velvet sofas, Diptique candles lit constantly, flowers on my desk and I ate at The Wolsey probably three times a week! Now I work in a building that is freezing and there are mice. I go down the road past a bunch of mechanics to go to the bathroom. It couldn’t be more different. Also getting dressed previously used to be like dressing for a first date or a cocktail party in head to toe Tom Ford. I was always fully manicured and fully coiffed. What’s been the evolution and milestones for Flowerbx that you are most proud of? Building the most incredible team. There are 14 of us. We now have the perfect foundation on which to build our business. Everyone is so excited and working so hard. Every day something wonderful happens – a real achievement. We launched with £100k that got us through the first year. We then did a friends and family round and I was very fortunate in having some amazing friends. For example, Natalie Massenet was one of our first investors. She brought on Carmen Busquets and Mark Sebba, who has now become our Chairman. Then a lot of big investors from the fashion world also invested, so fortunately it was relatively effortless and we raised £750k in that round. We then raised a further £1.5m in March this year and that was again from friends and family. We were clearly going in the right direction at that stage and we were oversubscribed for that round. It’s a high bar for your next set of investors. What would you look for that you might be missing from your next round? Right now we have the brand, we have the attention, the marketing. What will take us to the next level will be to become a logistics company, a little like Ocado. We are on our way to having a very sophisticated website and in the next month adding multiple deliveries and other options. So it is logistics expertise that we would look for from our next investment round. The flowers need to be cut and to your door in the minimal amount of time. The last mile is crucial. We hired a great logistics expert who is starting in February and I feel that will make a big difference. What values do you hold and what type of company do you want to build? I want people to be happy, valued, motivated and feel part of something new and big. I want them to feel excited to feel in part responsible for the very tangible results we see every day. I look for people who are hardworking and who are over achievers. 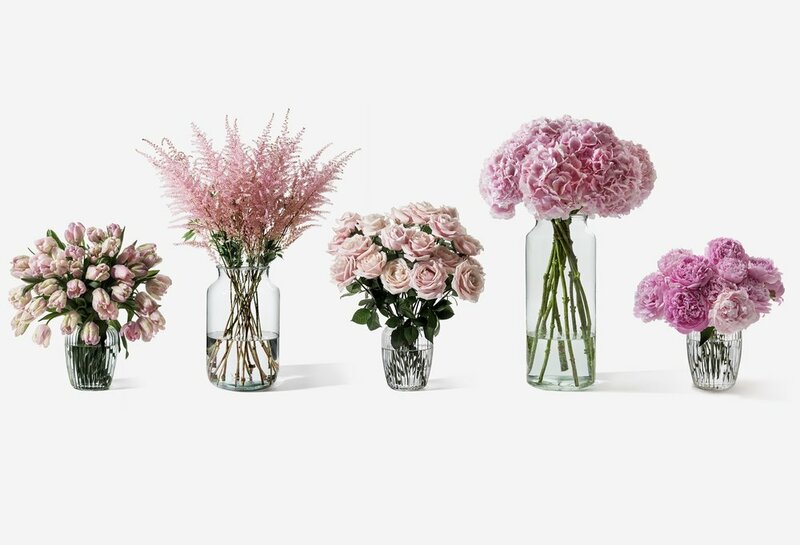 I want to create the first international flower brand. I also want to combine that with a happy marriage and being a great mum. What advice would you give early stage women founders or those thinking of launching a company? Just do it. And be prepared to work in a way that you have not before. You need to have a great idea and be prepared to work really hard because its diehard. It’s a total rollercoaster every day. Any advice for those seeking investment who perhaps didn’t have the contacts you had? Find women! No one supports women like other women. Seek them out. There are lots of women investors nowadays. Do you think about building a diverse team? It is, of course, important for me to employ women. They work in great ways and also have an emotional connection in what they are doing. Given we are running a flower business, there is an emotional component that is as important as the business component. What personal qualities would you attribute to your success? Tenacity, hard work and going for it. Holly Scarsella - Making Waves!